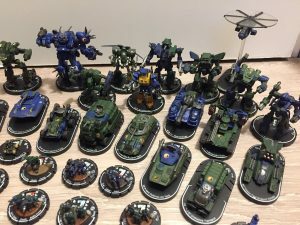 This article is about the light STO-series BattleMech. For the apocryphal ultralight STD-series BattleMech, see Stiletto (StarDrive). The Stiletto was engineered in a similar vein as the Black Hawk-KU or the Rakshasa, using examples of Fire Falcon OmniMechs salvaged from the battlefield immediately following the Battle of Coventry. The Stiletto has an identical speed profile as the Fire Falcon with a VOX 280 Light Engine giving it a top speed of 129.6 km/h. The Stiletto also has an almost identical visual profile to the 'Mech which it tries to emulate, and is built on a lightweight MatherTech 750 Endo Steel chassis that supports six tons of Lexington Ltd. High Grade Ferro-Fibrous with CASE to protect against an ammunition explosion. The Stiletto also has a Guardian ECM Suite which protects the 'Mech from advanced electronic warfare equipment. The Stiletto is armed for both long and short range combat. For close combat, the Stiletto has two Coventry T4H Streak SRM-2 launchers. For long range combat, the Stiletto has a single Coventry Five-Tube LRM-5 launcher that makes the Stiletto capable of both direct and indirect missile support. The weapons payload of the Stiletto has received some criticism as the 'Mech is completely dependent on ammunition based missile weapons. This MechCommander variant of the Stiletto is armed with three LRM Racks and one ST SR Missile Pack. It carries eight tons of armor protection and an Intermediate Sensor. This variant carries six tons of armor and and more weapons. 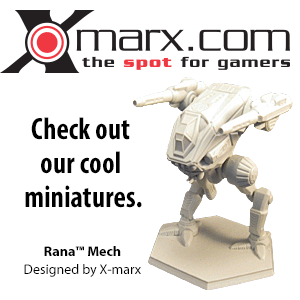 It is armed with one Large Pulse Laser, two LRM Racks, and an Intermediate Sensor. The FRF-J has the same armament as the FRF-A and six tons of armor. Its jump jets allow it to jump up to one-hundred thirty-four meters. The apocryphal ultralight STL-7D Stiletto published in the StarDrive magazine in 1988 shares the name, but is obviously an unrelated design otherwise. Fire Falcon - The mech was conceived from captured Fire Falcon Omnimechs. The Stiletto was first deployed on Port Arthur and used by the First Davion Guards against Clan Smoke Jaguar. During the FedCom Civil War, Duke Frederick Bradford, noble ruler of Coventry, refused to deliver Stilettoes to any unit that supported Archon Katherine Steiner-Davion. The Stiletto appears in FASA Interactive's expansion pack for MechCommander, Desperate Measures. Desperate Measures was released in 1999, three years before the Stiletto's canon appearance in Technical Readout: 3067. ↑ 1.00 1.01 1.02 1.03 1.04 1.05 1.06 1.07 1.08 1.09 1.10 1.11 Technical Readout: 3067, pp. 56-57, "STO-4A Stiletto"
↑ 3.0 3.1 Combat Operations, p. 132, "Force Faction Tables"
↑ Experimental Techical Readout: Steiner, p. 3, "STO-6X Stilleto"
↑ 11.0 11.1 Technical Readout: Prototypes, p. 103, "STO-6S Stilleto"
This page was last edited on 11 January 2019, at 23:24.